Saxophonist/composer Michael Blake has managed to embrace jazz history while challenging it head on. 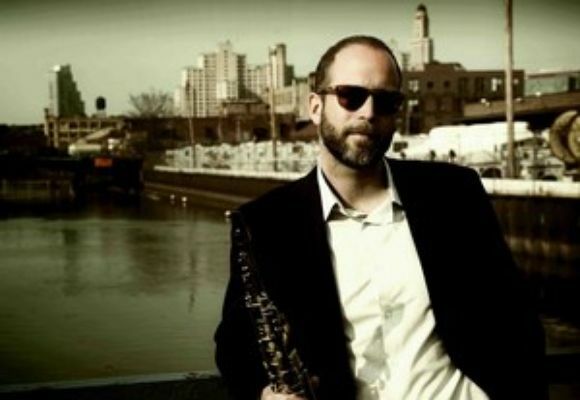 Honing his skills in John Lurie's iconic downtown band the Lounge Lizards, his presence as a jazz artist has earned him accolades in countless jazz publications - including jazz artist of the year in Downbeat's Rising Star category. His first album was produced by the legendary Teo Macero and hailed as a masterpiece. He has since produced another 10 CDs as a leader. Michael is based in Brooklyn but also keeps a foot in his hometown of Vancouver, Canada where he records for Songlines Records. He has written for TV and film and can be heard on the popular kids show theme 'The Backyardigans'. Michael will release his latest CD in fall 2012 on Songlines Records entitled "In the Grand Scheme of Things".